Khalaf Ahmad Al Habtoor, Chairman of the Al Habtoor Group and Founder of the Khalaf Ahmad Al Habtoor Foundation (KAHF), is leading a global initiative to alleviate poverty. The Chairman said today that he has extended an invitation to well-known philanthropists around the world to join him in the fight against poverty. The invitees include the likes of Warren Buffet, Sir Richard Branson, Carlos Slim Helú and Bono, as well as world-renowned organisations directly involved in combating poverty - like the United Nations Development Program, Bill & Melinda Gates Foundation, World Economic Forum, The Ford Foundation, The Carter Centre and others. Al Habtoor is also reaching out to top universities and academic institution who can assist him with implementation and research. Nearly half of the world’s population – roughly three billion people – live on less than $2.50 a day, and more than 1.3 billion people live on less - in extreme poverty. The United Nations predicts that the world’s population is expected to grow from around seven billion people today to 11 billion people by 2050, placing an even bigger burden on governments and the world’s ever-scarcer national resources. Al Habtoor said he is looking at conducting a ‘Poverty Alleviation Roundtable’ event to gather information, share ideas and help identify the key issues on global poverty. 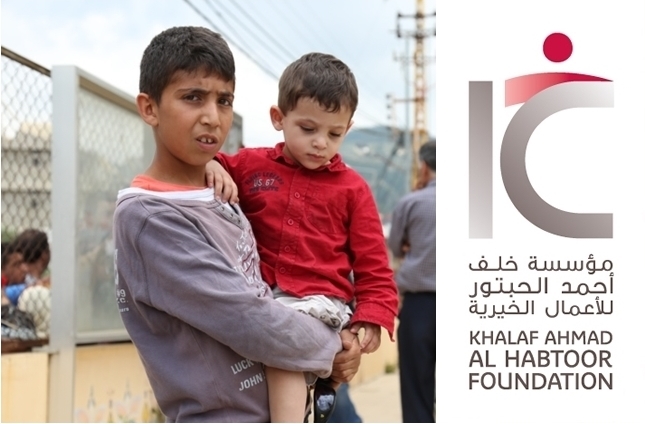 In 2013 Al Habtoor set up a Foundation in his name - The Khalaf Ahmad Al Habtoor Foundation (KAHF) - to promote East-West dialogue, and help people around the world improve their living standards, as well as to promote peace. Alleviating poverty is one of the main missions of the Foundation.